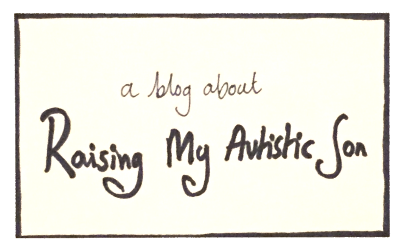 I often read blogs written by parents of children who have autism, blogs written by autistic adults and sometimes blogs written by autistic adults who are parenting autistic children such as Inside the Rainbow. Last week Inside the Rainbow reviewed a BBC documentary called Richard and Jaco: A life with Autism, which I then went on to watch. It was so good I decided that I had to write about it too. 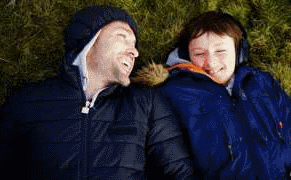 The actor Richard Mylan has a delightful and engaging son called Jaco. Jaco is 11 and he loves life, wind farms, rugby and washing machines. He also has autism. Unlike most 11 year olds Jaco’s favourite treat is a trip to watch the bell being rung at Cardiff market to signal the end of the days trading. He’s been to see the market closing over 500 times. When Richard first found out that his son was autistic he admits that he felt terrified and although he now understands a lot more about autism he continues to worry about the future and how his son will manage when he grows up. 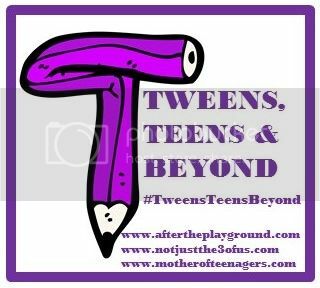 Like so many parents of young kids with special needs, Richard experiences those niggling questions which can prey on a parents mind day in day out. Will they live without support? Will they find love? Will they get a job? How will they fit in this world? What will life be like for them? In order to try to get a glimpse about what the future might hold for Jaco, Richard visits several autistic teenagers and adults. First he meets the incredibly energetic, exuberant and funny Alex Lowery, who was diagnosed with autism when he was only four years old. Many people with autism have intense specialist interests and can often become experts in fairly niche fields. Alex has a special interest in autism and he never tires of talking about autism to the extent that he is now earning a living as an autism awareness trainer. You can book him to speak at your event through his website here! Alex is on a mission to normalise stimming (self stimulatory behaviours). We all stim to a certain extent; for example I’ve noticed that I sometimes rub my finger tips together when I’m concentrating and my dad has a habit of drumming his fingers on any and every available surface. However many people with autism have more noticable and pronounced stims and the problem is that society at large isn’t that comfortable or tolerant when it comes to this type of stimming behaviour. Stimming can be a really helpful way for someone with autism to stay calm and function. Alex’s mum says, “if you take away stimming it’s like taking away the operating system”. (I’ve written more about stimming in my post spin and stim). Richard then visits a special school where half of the pupils have autism. He meets two teenage boys who joined the school after truly horrendous experiences in mainstream education. They are obviously thriving in their new school and feel optimistic about their futures. Next we meet Ed, a severely autistic young man, who has been at a residential further education college for two years. Since being at college Ed has become calmer and more communicative. The college is quite a long way from Ed’s parental home and his mother talks about the difficult decision to allow him to leave home concluding that, “You have to let your kids go, grow up and let them be independent. You can’t keep time standing still.”. She’s right. Next up is the incredibly friendly, happy and ever so smartly dressed Gareth. Gareth is working as an Administrative Officer and announces that admin is his dream job, his life. He loves his job and plans to continue doing administration work forever. His boss is obviously pleased to have such an enthusiastic person on her team who contributes to the relaxed and happy atmosphere in the office. Finally we meet extreme marathon runner Shaun who was diagnosed with autism only one year ago at the age of 30. Shaun had presumed that he would never find a long-term partner as he considered himself to be hard work and basically didn’t think anyone would be able to put up with him. It turns out he was wrong because we meet Sarah, his wife of over two years, who clearly loves and accepts Shaun for who he is. If you are parenting a young chid with autism I highly recommend that you watch this documentary. It’s being aired again on BBC One on Tuesday 2nd May at 11.20pm and will then be available on i player for another 30 days. Throughout the film we see how incredibly well Richard interacts with Jaco, using techniques and ways of talking to Jaco which help him to stay calm and in control to the extent that he is able to try new experiences. It’s impressive to see how Richard and his ex partner, Caitlin (Jaco’s mum) create a safe environment in which Jaco is able to enjoy life and thrive despite the difficulties that come with his autism. l’m going to finish with a quote from the film. “Having a child with autism is sometimes like navigating a thick forest without a map or compass but meeting people with autism has shown me there is a way through. As a society we have a long way to go but I can only hope that things will get better. I am recording this Tonight and I am looking forward to it Thank you for the review. ? Thanks Jo – good to hear that your daughter has been talking about autism at school! I hope she finds the programme interesting. What a truly inspiring story. Richard is an amazing parent with incredible amounts of patience and wanting to understand everything about his lovely son. Clearly there are many different levels of autism as Richard uncovers by meeting with a number of different people in different stages of their life. Its warming to see that there is a future for people with autism and with the right support and nurturing, they can blossom and grow into self sufficient adults. Richard, you are an inspiration to all parents in the world. Thanks you for making this wonderful documentary. My favourite part, Richard stating that he is lead by his son through this journey, not the other way round. I’ve had real difficulties with expectations recently. Thanks for sharing this with #spectrumsunday and I’m sorry I took so long to comment.